Home / Computers/technology / News / Samsung Heir Sentenced To Five Years In Prison! 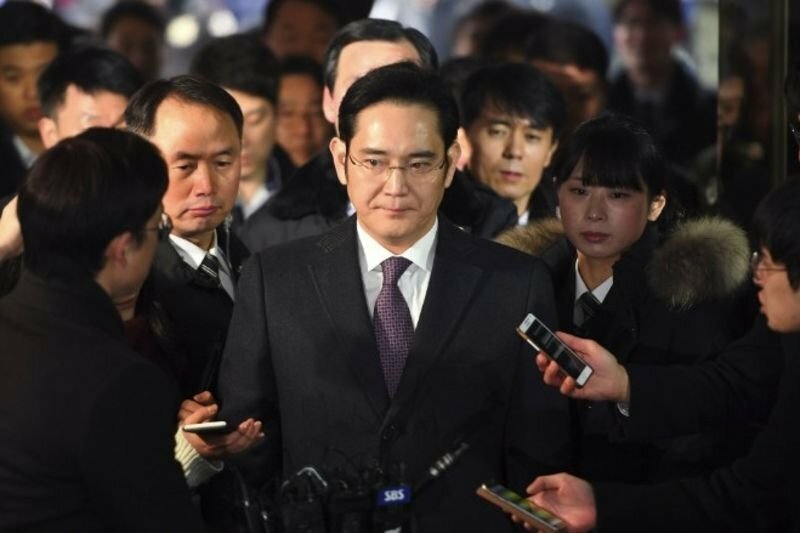 Mr Lee Jae-Yong, the 49-year-old heir to one of the world’s biggest corporate empires, has been held since February on charges that he bribed the president Park Geun-Hye to help secure control of a conglomerate that owns Samsung Electronics. Samsung, founded in 1938 by Lee’s grandfather, is a household name in South Korea and a symbol of the country’s dramatic rise from poverty following the 1950-53 Korean War. But it has also come to epitomise the cosy ties between politicians and powerful family-controlled business groups which have been implicated in a series of corruption scandals. The 5-year sentence is actually not the worst-case scenario for Mr Lee, as prosecutors were demanding a 12-year sentence for Samsung’s chairman, potentially the longest prison term given to a South Korean business leader, who also faces charges of embezzlement and perjury. Lee was found guilty of bribery, embezzlement, perjury and other charges centred on payments and promises by Samsung totalling around $40 million to Park's secret confidante Choi Soon-Sil. Mr Lee’s lawyers tried to convince the court Samsung Heir had very little to do with the company’s day-to-day operations. Samsung had three co-CEOs in place running the management team, and that will endeavour to lead its operations without disruption, there is certainly more to come regarding the issue at hand. Samsung has been doing quite well globally and frequently tops the list for smartphone shipments worldwide. It'll be interesting to see how it does in the next few years, considering it credits Lee with providing its long-term strategic vision.